Montréal has always punched above its size. It is a culinary powerhouse with a voracious appetite for the arts and a restaurant culture. Waves of migrants have contributed to the ceaseless culinary and artistic innovation; ensuring diversity is the city’s signature dish. Visitors to this city can expect to eat well, and then eat again. However, as any socialite will tell you, the restaurant lifestyle can prove to be an expensive one. For those incorporating Montréal into a Canada-wide trip, and eyeing the expensive connecting flights, there may be the need to tighten their belts for a day or two. 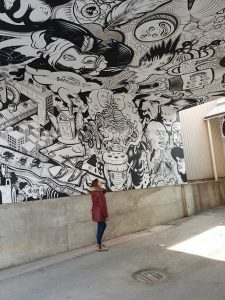 This weekend travel guide outlines insider tips on how unearth the best places in Montréal on a budget, without spending more than 13 dollars a day. That’s with food and travel included. Here’s how you do it. Montréal’s metro has 4 lines which run throughout the city. The trains run regularly and are easy to use, with large maps throughout the carriages and stations. A day ticket costs 7 dollars and there are stations near each of the destinations mentioned in this article. Alternatively, for those who want to minimize their time spent underground and take advantage of the numerous cycle lanes scattered around Montréal, there are Bixi bike stations scattered throughout the city. Hiring one of these bikes for 24 hours costs $5. The majority of the attractions to visit in Montréal which are mentioned in this article can be accessed by bikes, or failing that on foot. Fortunately, many of the best places in Montréal are free to access. Since 1605, the area next to the St Lawrence River was inhabited by French fur traders, who used the St Lawrence as a means of transporting their wares. 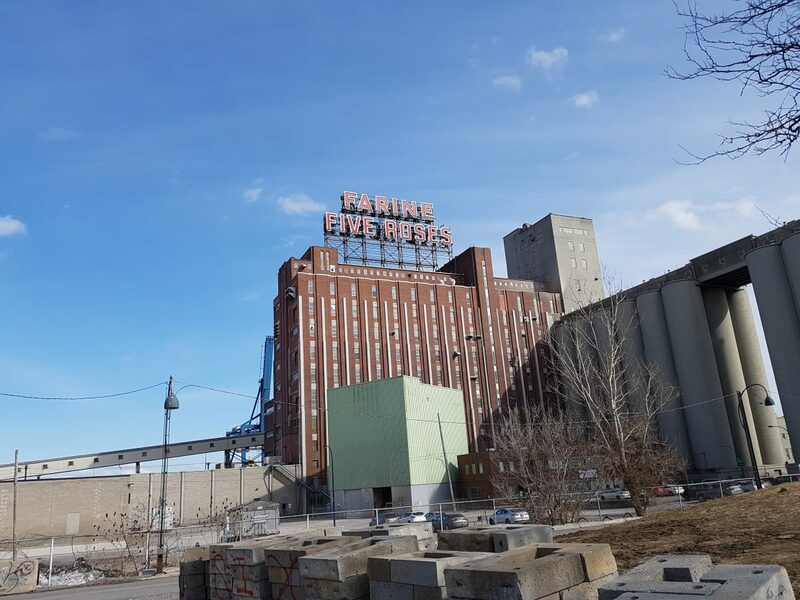 In 1642, they began building in the Ville-Marie neighbourhood. This section of the city, stretching from the old port to McGill Street in the West contains the oldest structures and a fascinating historical narrative. Exploring the cobblestone streets and old port is the perfect way to orient yourself with old Montréal. This is an ideal destination for a weekend in Montréal on a budget. Since 1657, a church has stood on the spot now occupied by the basilica. As the city grew in influence the basilica received a number of costly renovations. The imposing cathedral now occupying the Place d’Armes square, was constructed in the gothic style between 1824-29. The inside is filled with numerous statues, painstakingly carved, along with particularly magnificent stain glass windows. The acoustics aren’t bad either; it boasts a pipe organ dating back to 1891 with over 7000 working pipes. 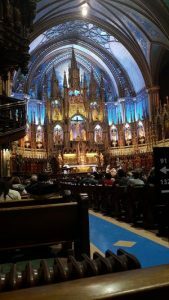 The building is magnificent enough to justify simply staring at the outside, but for those who can afford the $5 entrance fee, a glimpse at the ostentatious interior will not disappoint. To reach Notre Dame, take the metro to the Place d’Armes station. 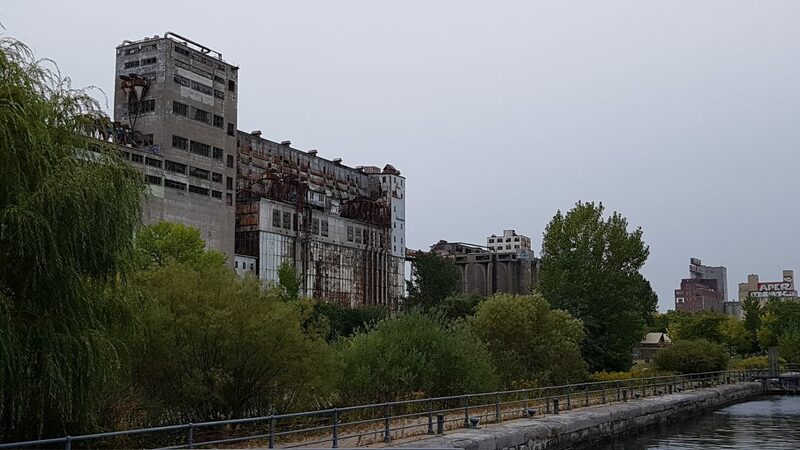 This two kilometre stretch of land along the St Lawrence River is amongst the best places to see free in Montréal It was first occupied as a port by French fur traders as early as 1611. In the background loom a number of grain silos, a remnant of the port’s industrial past now long abandoned. For a long period of time, the port fell into disrepair before undergoing renovation in the 1990’s. Along the waterfront runs a path and cycle lane, providing easy access to a range of tourist attractions. The Montréal Science Centre hosts a range of exhibitions. Other more outdoorsy activities include zip and a Ferris wheel, (sadly not free) all overlooking the picturesque St Lawrence River. A short trip north of downtown Montréal is one of the hippest most vibrant neighbourhoods in the city – plateau Mont-Royal. For those taking a weekend trip this is a must- see. It boasts a dizzying variety of eateries, cafes and bars (those who feel like stretching their budget will find a list of notable ones at the bottom). Yet indulgence in gourmet cuisine is not the only reason for the plateau’s popularity. Its ambience and charm are immediately apparent. The streets are lined with attractive townhouses, decorated eclectically with street art on almost every corner. Each townhouse has a signature staircase which is almost a rite of passage for Montrealers to precariously descend during the winter months. Urban legend has it that the staircases were built as a space saving measure so that Irish catholic families living in the area could save more space inside for their numerous children. Feel like stretching the budget? Who could blame you, the plateau boasts some of the best bars and restaurants in town. Here are a few of this writer’s favourites. La Distillerie no 2: This chic bar specialises in cocktails brought out in mason jars. Due to its popularity among locals, ensure you get there before 9p.m. This is the perfect place to enjoy dinner and a drink under the dimmed lights. Barraca Rhumiere and Tapas: A bar specialising in tapas food. In summer, the patio is packed with Canadians making the most of the weather. La Quincaaillerie: Situated next door to La Banquise, (one of Montreal’s culinary institutions which will be mentioned later). Customers can bring in their own food as long as the purchase drinks. Monday nights see customers bring and play their own records. Let’s face it, who doesn’t love a good viewpoint. Montréal is built around a mountain, (aptly named Mont-Royal for those who do not speak French). Climbing provides a fantastic viewpoint to gaze upon the surrounding city and orient oneself with the neighbourhoods. Those visiting in summer should endeavour to make the trip on a Sunday when they can catch the Tam Tams- a free drumming festival. Hundreds of people congregate next to the statue of Sir George Etienne Cartier at the bottom of the hill to listen to this drumming circle. Expect a diverse crowd and the wholesale consumption of marijuana. The mountain is west of downtown Montréal on foot but can also be accessed by the metro. Get off at the predictably named Mont-Royal station. Parc Jean Drapeau spreads itself across two islands on the St Lawrence River, St Helen and Notre Dame. It is the perfect location to escape to for the afternoon. Throughout the year, it plays host to a variety of events such as Osheaga music festival in the summer and Fete des Neiges, and outdoor winter event. 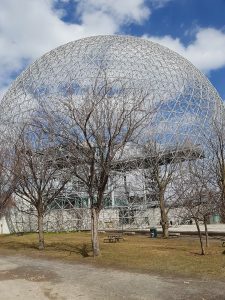 Though paying events aside, the park is one of Montreal’s best free attractions. It was the site selected to host the 1967 world exposition, and the skeletal biosphere which once held the globe remains, looming over the trees. During the summer months, people flock to the golden sands of Jean Dore beach to take a dip in the waters. To reach Parc Jean Drapeau, take the metro line to the Jean Drapeau station or bike along the Jacques Cartier Bridge. Entrance, of course is free unless you plan on attending one of the festivals. 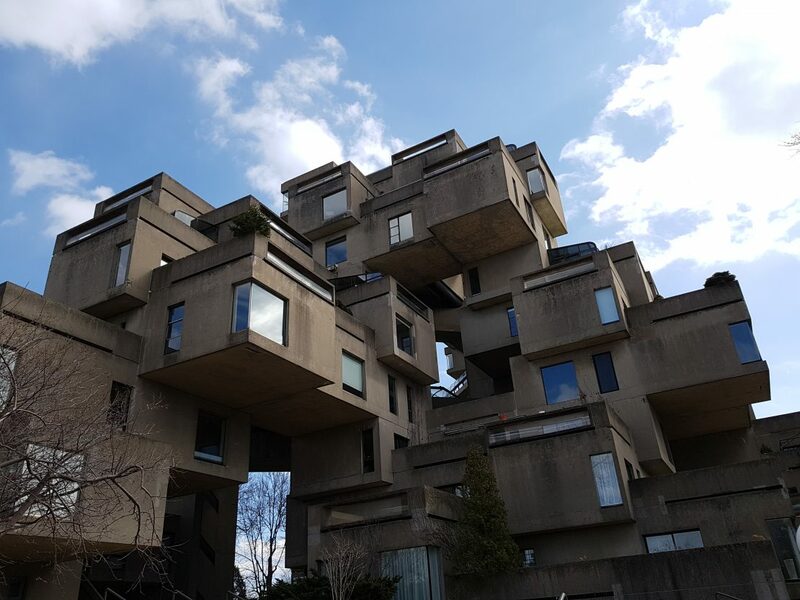 Lying on the east side of the St Lawrence river, this unique housing project was designed when Montréal hosted the world trade expo in 1967. 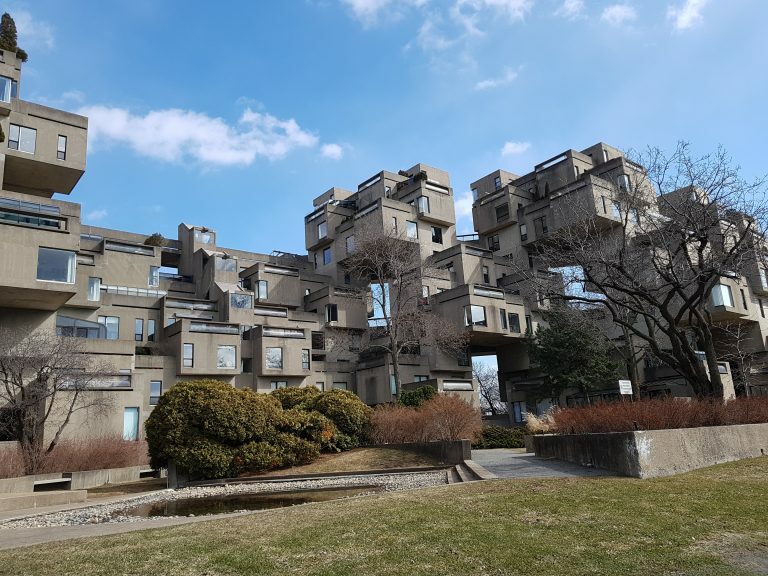 Built by architect Moshe Safdie, it became an instant modernist hit. Each block, sitting incongruously next to its neighbour houses an individual flat. These flats are a reminder of Montreal’s progressive mentality as a city, as well as one which holds onto its Francophone heritage. Tours inside the flats cost $25, although it is equally convenient to stand outside and get an unobstructed view for free. All of the flats are inhabited so visitors are instructed to take photos from a respectful distance. Those who try to press their noses up against a window will be instructed to leave via a loudspeaker. To reach habitat 67, walk 30 minutes from Parc Jean Drapeau station or 20 from Des Moulins. A cycling lane runs directly next to it, parallel to the St Lawrence, linking it to Old Montréal’s port. If you think all of Montréal’s culinary institutions are pricey, think again. Quebecois culture dictates that food needn’t be expensive to be painfully artisanal. Near the plateau are two of Montreal’s most famous eateries specialising in iconic cuisines, bagels and poutine. 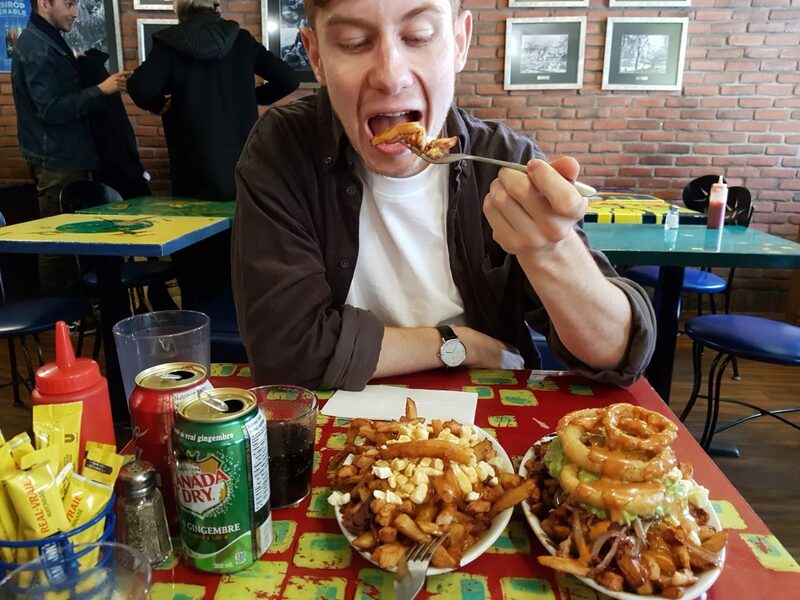 Spend any amount of time in Quebec and you will learn about poutine, the ultimate comfort food. In a nutshell, the dish consists of fries topped with cheese and gravy. There is no better place to sample this in terms of convenience and breadth of recipes than La Banquise. This fast food poutinery is a Montreal institute and is open 24 hours a day, so no matter when you stroll by, a meal is always guaranteed. Over 15 different types of poutine are served up, ranging from the classic gravy and cheese to more adventurous recipes such as South-West and Mexican. A regular plate costs all of $7.75. To reach La Banquise, take the metro to Mont-Royal station and walk 5 minutes. It is located on Rue Rachel on the corner of Park La Fontaine. If all those potatoes and cheese curds sound a little too heavy, then there is a nearby alternative. Sesamse seeded bagels have been baked at St Viateur since 1957 and this iconic shop shows no sign of slowing down soon. Indeed, it recently obtained special permission from the government to continue using a wood burning stove, despite a Quebec-wide ban on them. A dozen bagels will cost $9.25, but they are available in smaller portions. Once again, its store is open 24 hours a day, leaving room for a late night excursion.